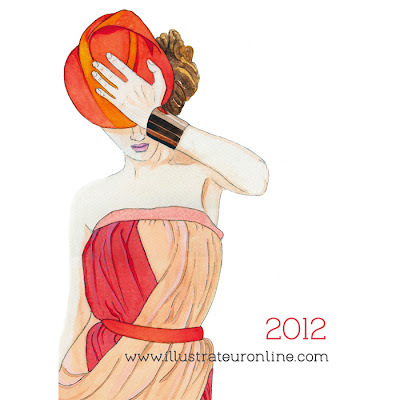 Illustrateur: 2012 is almost here! I've been meaning to put together a calendar for a while now. In fact it has been on my to-do list for two or three months! I finally finished it over the weekend, and it's now available for purchase in the Illustrateur Etsy store. this looks so cool... i love the shoes! ohh cool !!! Love them all!! Beautifully done, that is a lot of work! fantastic! what a great idea and it looks brilliant! Terrific idea, hope you sell a pile of them! It looks wonderful. This is lovely! Happy PPF! How neat! My daughter will love your blog. She is now an elementary art teacher, but she went to the Fashion Institute(FIT)in NYC. Your drawing and colors are just great. What a great idea to share your art in! Great Illustrations and Calendar is wonderful idea ~ ~ thanks, namaste, Carol (Share the Creative Journey) Happy PPF. Love Dec. shoes! Lovely illustrations! Happy PPF! Love your calendar, it is awesome. That would really be great in a teens room. You certainly are good at what you do. Thanks for sharing. Congratulations on creating this calendar and selling it in your Etsy shop! Awesome!! WOW! 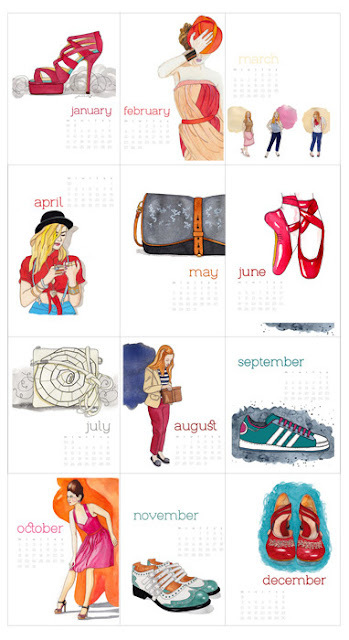 Awesome calendar of amazing fashion art! That calendar is such fun!